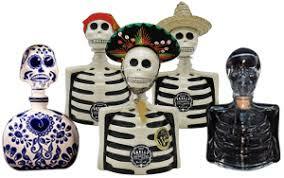 Los Azulejos Skelly Añejo Tequila is produced in Jalisco, the heart of tequila country. This is the two year aged expression of this particular line. The others being Blanco, and Reposado and Extra Anejo. Distilled in stainless steel stills, a bright taste Lowland tequila. 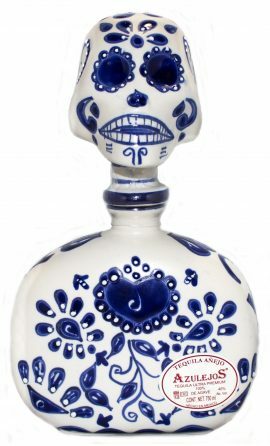 100% “Agave Tequilana Weber variety Azul”, commonly called blue weber agave or tequila agave. Hand picked Lowland (El Valle) region. Los Azulejos uses 7-10 year old agaves. Los Azulejos cooked in traditional brick ovens. Additional double slow distillation in copper alembic stills. Aging in French Cognac Oak barrels for a minimum of 30 months, usually up to 24 months. Honey toned, lovely rich medium body. Swirling in glass leaves a light coating on the glass. 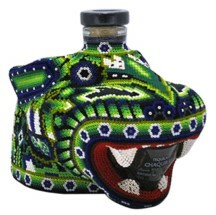 Agave notes with hints of cognac, oak, savory hints, orange with mineral salts. Time in wood softens the flavour of warm notes of vanilla, caramel, orange and chocolate. 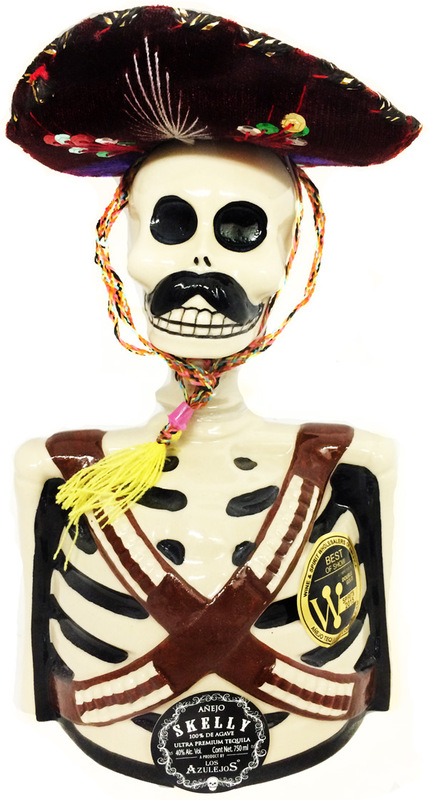 This tequila is trouble – it’s hard to put down. Delicious, smooth, similar to a lovely cognac.